Since the inception of the Imperial Classical Ballet Awards in England 20 years ago, this is the first time that this prestigious event is held in Asia. This is a major milestone for Asian dance students to be able to compete in a "world-class" competition judged by International ISTD faculty. This event will be held annually in Kuala Lumpur. This year, we had 31 dancers form Asia. Aurora School of Dance is very proud to announce that our dancers won 5 out a total 6 events and 3 challenge cups for musically and Pott de Bras. Congratulations to our dancers! 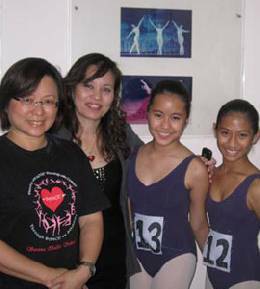 Junior Students and Siti Amellia Feroz from Aurora Dance Schools delighted the audience with 4 set variations from the graded and vocational syllabus. 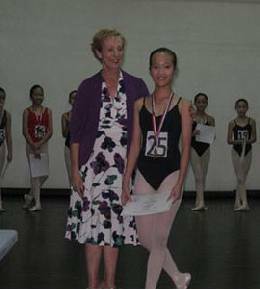 The success of this event resulted in the Modern Dance Faculty holding a similar competition for students learning the syllabus.